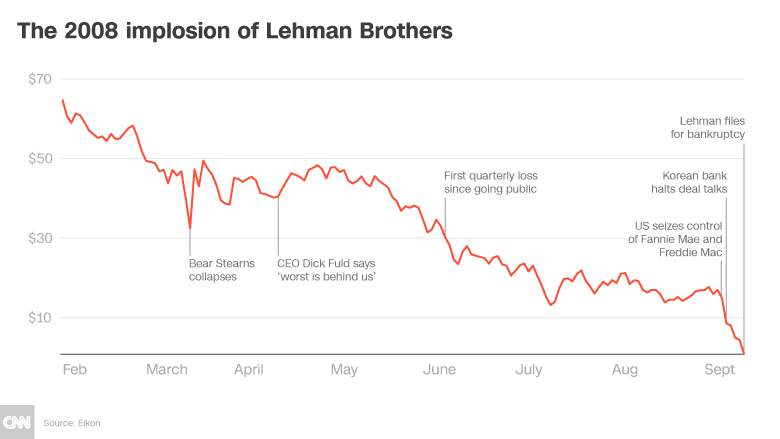 Lehman’s failure shook Wall Street to its core. The Dow plummeted 504 points, the equivalent of 1,300 points today. Some $700 billion vanished from retirement plans and other investment funds. The panic that followed plunged the American economy into a severe downturn, now known as the Great Recession. On Wednesday, September 10, South Korea’s Korean Development Bank dropped out of the running to be Lehman Brothers’ white knight. The news — combined with Lehman’s announcement of a record $3.9 billion quarterly loss — sent the bank’s shares cratering 45%. The turmoil showed just how fragile and interconnected the entire system was. The situation was exacerbated by the near-collapse of AIG (AIG), the insurance behemoth. Regulators feared AIG’s demise would bring down the whole system — so AIG was given a $182 billion bailout. 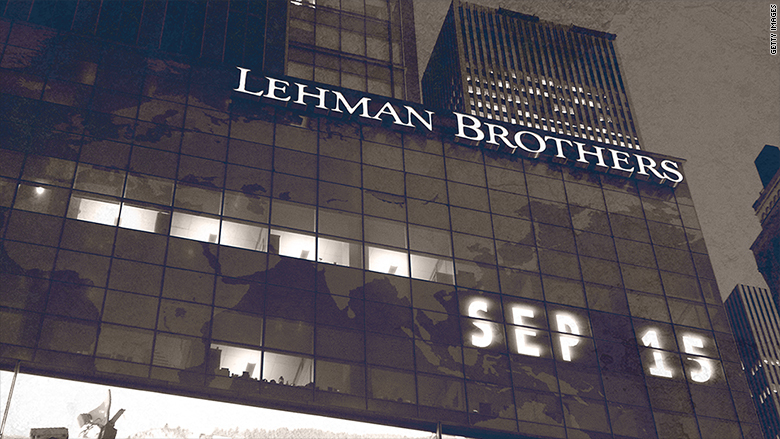 Between 2000 and 2007, Lehman’s assets had more than tripled to $691 billion. And its borrowing ratio, known as leverage, jumped to 40 times its shareholders’ equity in the company. The firm had relatively little capital to protect against trouble. 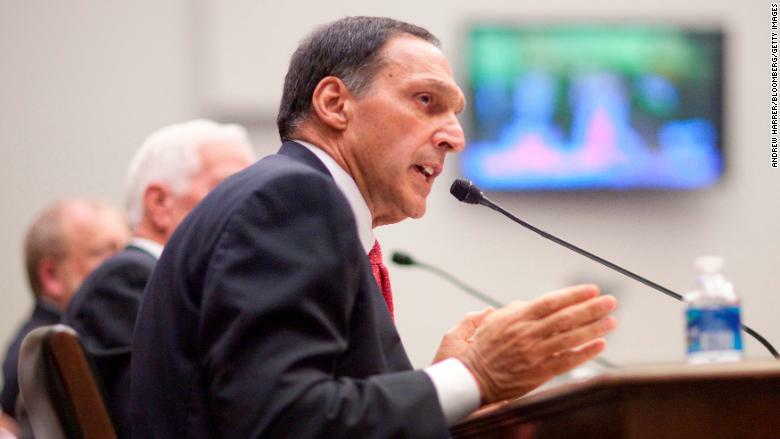 The former Lehman Brothers boss, who made and lost a $1 billion fortune on Wall Street, has made few public appearances since the crisis. He did speak at a 2015 event where he admitted he would do some things differently.